The four setting heating system enables a fast, efficient control of the temperature of your gloves. If you need a short blast of more heat, just press the button. Another couple of clicks the temperature changes according to what you require. .All the control buttons are fitted on the back of the gloves, and you do not need to remove your glove in order to use them. . Platinum thinsulate insulation, breathable and moisture-resistant. Air molecules are trapped in a given space, because the microfibres are so fine, they will trap more air in less space, With more fibres packed in, they reflect back more of the radiant warmth. The perfect solution for anyone who has miserably cold hands !! The Velcro strap (Embers own unique rubberised Velcro, will not fray or bobble. is They are easily adjustable to stop the snow coming in. The inner cuff hugs the wrist comfortably, providing an extra barrier from the cold elements, and the outer cuff is also adjustable with a toggle to tighten or loosen the cuff if required. 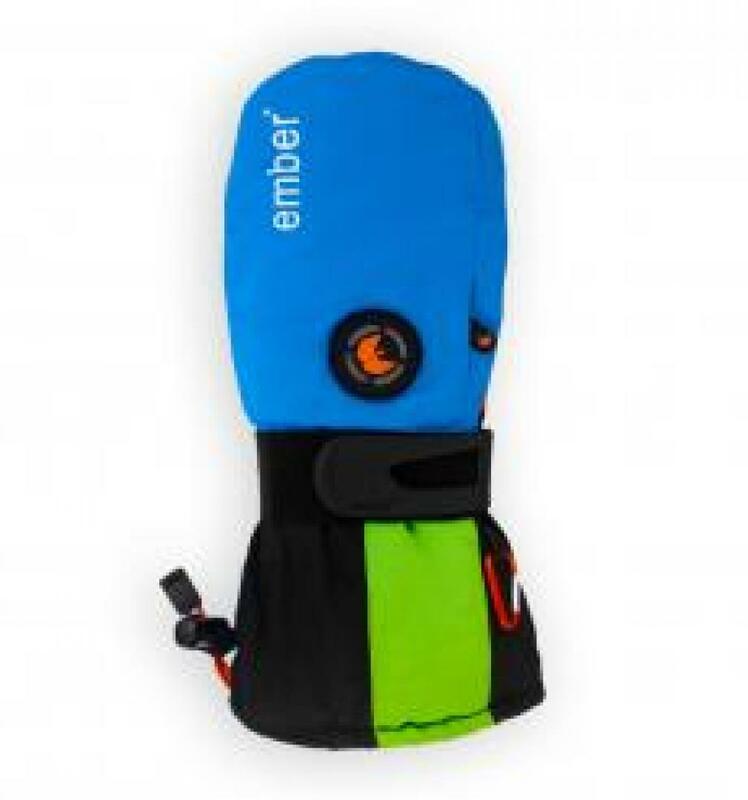 Emberwire technology, Lithium polymer battery, Comfort, style and protection, Ski pass pocket, Touch screen compatible, Goggle squeegee and nose wipe, Four heat settings, Travel adaptors included EU,UK,US, Travel bag to keep the gloves/mitts in when travelling. quality materials keeps you warm and dry, the soft inner shell wicks away any moisture on your hands. The leather panel on the glove palm, the silica patterning, provide water resistance and extra grip. Additional robust strengthening around the base of the thumb and index finger, help to prevent wear and tear. A great present for someone who suffers with really cold fingers and hands!! ski pass pocket for ease of getting up the mountain.